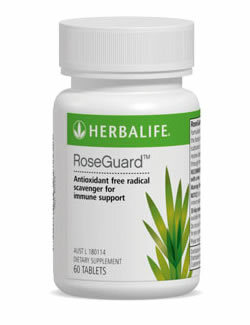 RoseGuard contains effective antioxidant properties, and is formulated to scavenge free radicals which commonly occur in the body due to pollution, food additives and other factors. It also helps the liver to eliminate unwanted waste substances. RoseGuard is beneficial for those who may not receive adequate intake of antioxidants and phytonutrients through their daily diet. This product is available from our online GoHerbalife Store under "Targeted Nutrition". Please enter your email address and tap on "Send" to be emailed the website link for our Online GoHerbalife Shop (for all pricing and ordering). Your privacy is completely respected. Your email address will not be shared with any 3rd party and will not be used in any unauthorised fashion. You can also enter your mobile number (if you wish) to be texted the link for our online shop, in case our email ends up in your spam/junk folder. You can also call or text me on 0424 040 545. Antioxidant protection of immune system health. Commonly known and widely used as a culinary herb, it contains more than a dozen antioxidants. One particularly potent - rosmarinic acid. 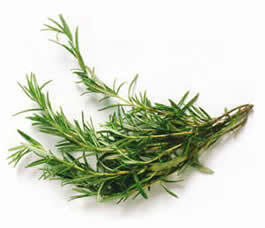 Herbalists consider Rosemary as an all-round tonic and providing a natural uplifting effect. Contains Vitamin E, Vitamin C and carotenoids. Assists in supporting the liver.